Jeff Mount is a highly accomplished financial services executive with over 20 years of experience serving as a Regional Vice President for various prestigious investment firms with an increased focus on wholesale distribution. Currently he serves as Regional Vice President for Advisors Capital Management covering the New England region, and he has worked in this role for the past 6 months. His key responsibilities include wholesale sales, B-to-B with financial advisors to moderate their investment processes, as well as providing coaching, investment development, and professional development and sales training for high net worth people. As a wholesaler, Mr. Mount prides himself on helping his business partners become more efficient and profitable, assisting them with organic revenue generation strategies, mergers and acquisitions of advisory practices, and the successful replication of family office practices. Jeff received a Bachelor of Science in Business Administration from Ferris State University in 1990 and prior, a Business degree from Longwood University in 1986. 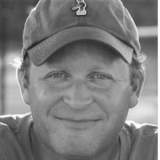 Originally, he was an accomplished tennis pro, and a USPTA Certified Tennis Professional at private country clubs in Greenwich, Connecticut. Unfortunately, a terrible accident destroyed his knee, so he was initially recruited to sell investment services to other tennis pros, but discovered when he was recruited to the wholesale side, that he liked it a lot better. Jeff attributes his success in this field to a combination of a deep understanding of the sales process and his ability to do public speaking. In addition to his speaking engagements, he frequently publishes industry articles on LinkedIn. Going forward, Jeff is keen to network and to merge the professional development part of his job and the sales part into a more regional or national role. Indeed, he has received many accolades over the past decade and a half from the different companies where he worked. One highlight of his career is receiving the Innovator of the Year Award from Curian Capital in January 2013, which was a big deal to him. Essentially, he developed and implemented the Blueprint sales training program, which is reserved for qualified and experienced financial advisors who wish to build a book of business that is more efficient and profitable than the traditional brokerage model. In his spare time, Jeff enjoys golf, tennis, and travel. His big passion is fly fishing, and he travels around the country to do his fly fishing in great settings. Jeff supports Junior Achievement and also served as a board member for the Greater Bridgeport Junior Achievement from 2011 to 2013.